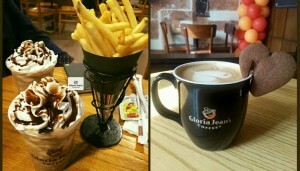 Gloria Jean’s Coffees is one of the world’s biggest premium coffee chains. it operates more than 1000 outlets in over 40 countries. Building on the emergence of coffee culture nearly 40 years ago, Gloria Jean Kvetko and her husband Ed saw an opportunity to offer high-quality specialty coffee in a warm and friendly environment in their home town, just north of Chicago, Illinois. The concept was an instant success, and, in 1996, it attracted the attention of Nabi Saleh, an Australian businessman and coffee connoisseur. Nabi brought Gloria Jean’s Coffees to Australia with his partner Peter Irvine. In 2005, they purchased the global brand and development rights, wanting to make Gloria Jean’s Coffees the most loved and respected coffee company in the world. In 2006, Rashid Ali Khan, a Pakistani-born Australian businessman and entrepreneur, purchased the rights to bring Gloria Jean’s Coffees to Pakistan. Rashid’s vision was to introduce world-class coffee in Pakistan, and to enable the development of a coffee culture here. Gloria Jean’s Coffees began operations in Pakistan in 2007. 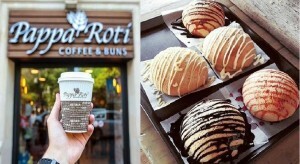 Today, it is by far the largest international coffee chain in the country, with over 30 outlets in more than 12 cities. By any measure, the expansion of Gloria Jean’s Coffees in Pakistan has been nothing short of remarkable. When it began, tea-mad Pakistanis knew little about coffee, and even less about Gloria Jean’s. Today, Pakistan boasts a vibrant and sophisticated coffee culture, and Gloria Jean’s is broadly acknowledged here as the catalyst for this development. There have been many challenges along the way, but there is no doubt that, in Pakistan, Gloria Jean’s Coffees has established for itself an enviable reputation for excellence and professionalism. 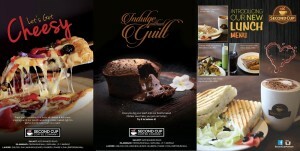 Gloria Jean’s Coffees Pakistan Private Limited is the Master Franchisee for Gloria Jean’s Coffees in Pakistan. 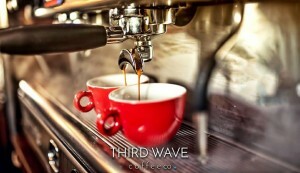 Our Espresso Bar serves hand-crafted hot beverages, made from our proprietary coffee blends. Our range consists of all-time classics like Cappuccino and Macchiato to specialties like Caramelatte and Chocolate Macadamia Latté. Our Chiller Bar offers refreshing chillers like Strawberries N Cream, Very Vanilla Chiller and the legendary Cookies N Cream Espresso Chiller. We also serve non-blended iced coffees, fruit chillers and smoothies, flavored iced tea and a selection of chocolate chillers.